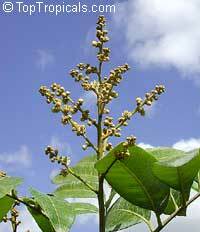 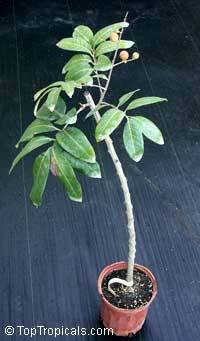 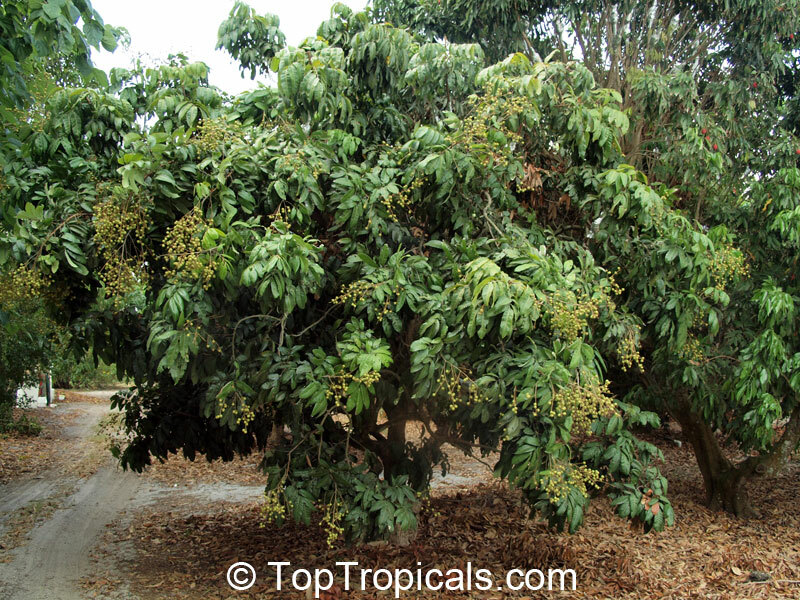 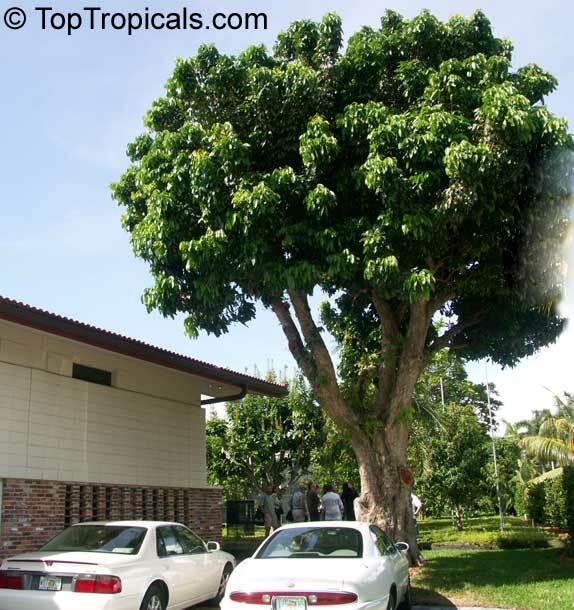 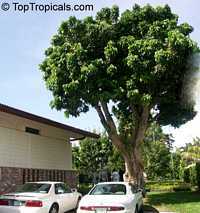 A medium sized tree from China, it can be pruned to maintain a small tree size. 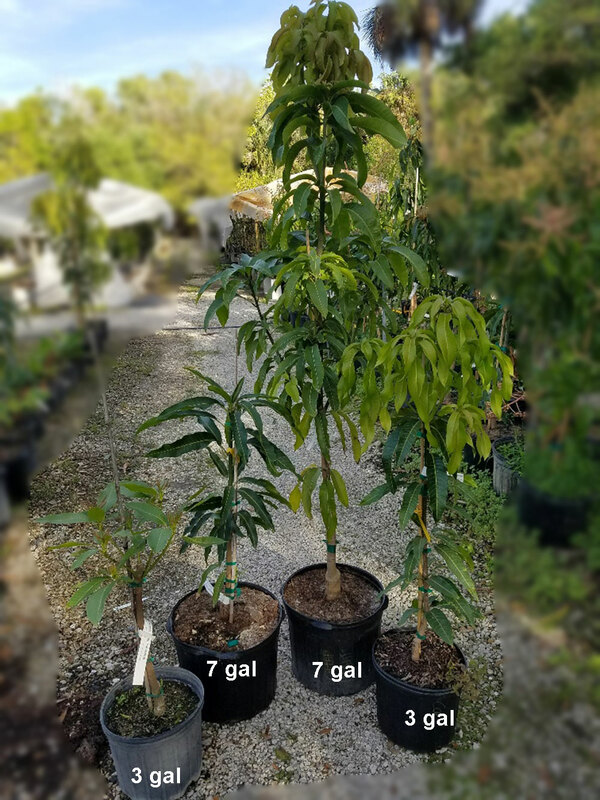 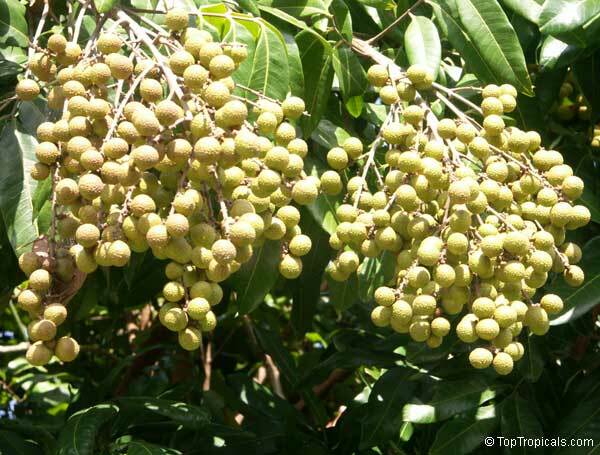 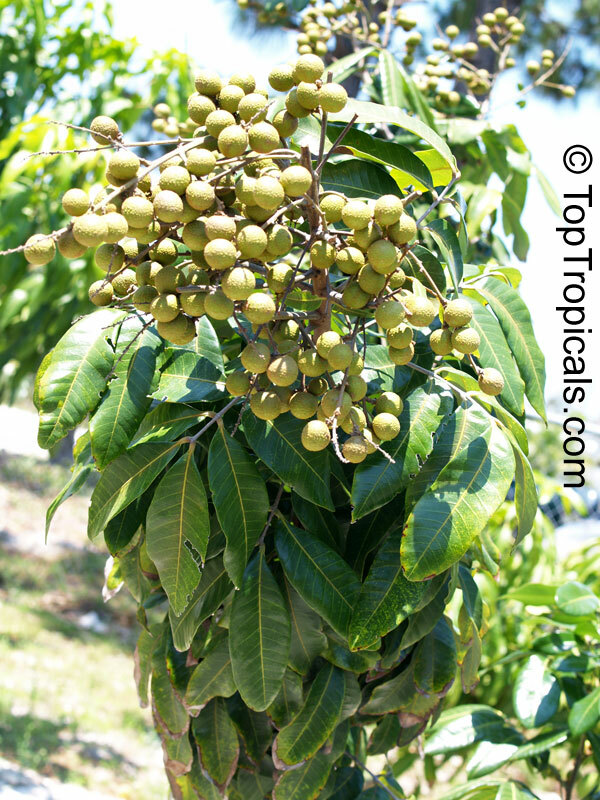 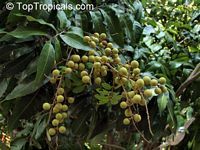 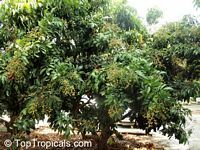 This lychee relative has stiffer leaves, more wind resistance and fruits more prolifically and regularly than its famous cousin. 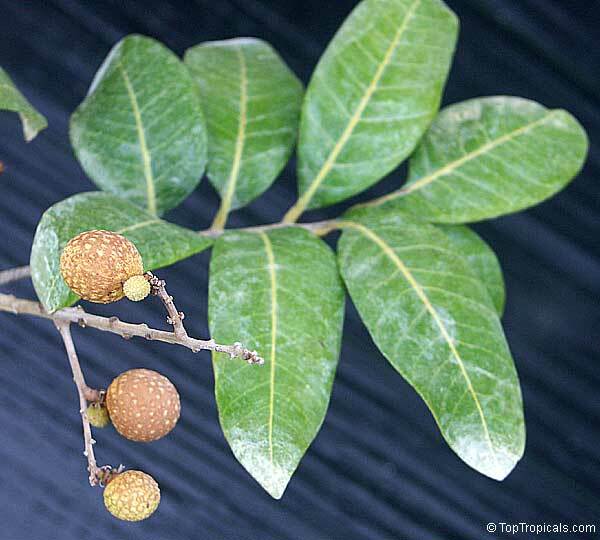 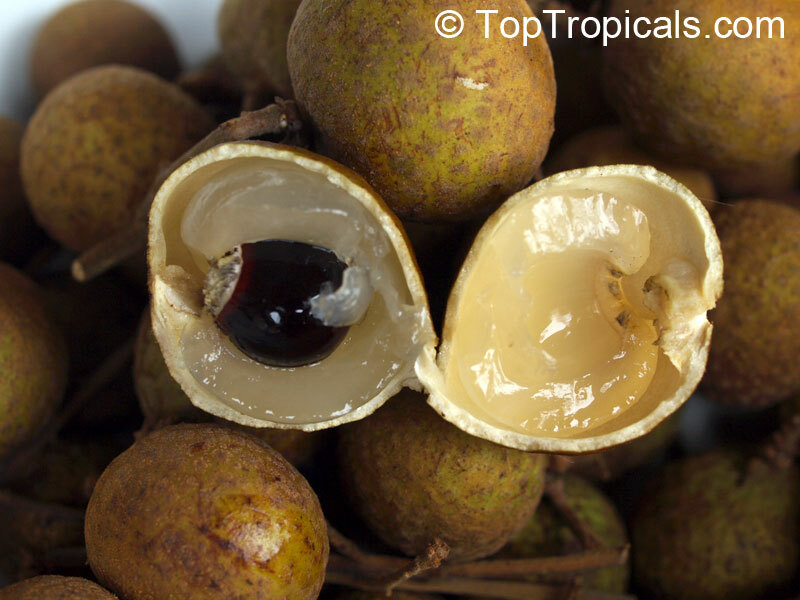 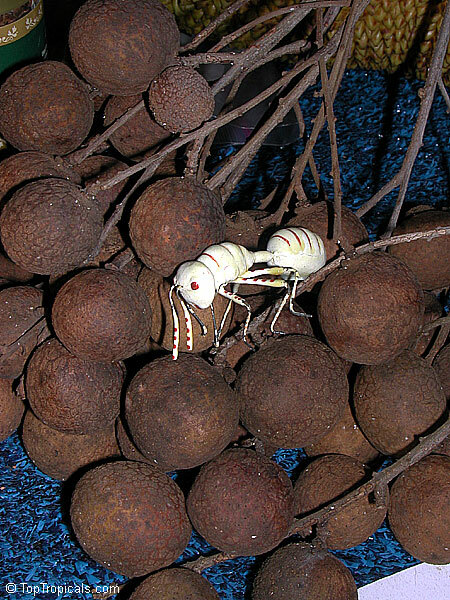 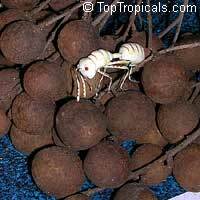 The 1 fruit is encased in a thick brown skin which, like the lychee, separates easily from the aril. 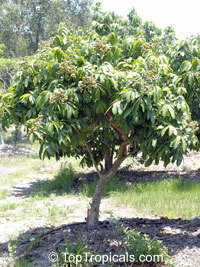 The flesh is sweet and is usually eaten fresh but can be canned or dried. 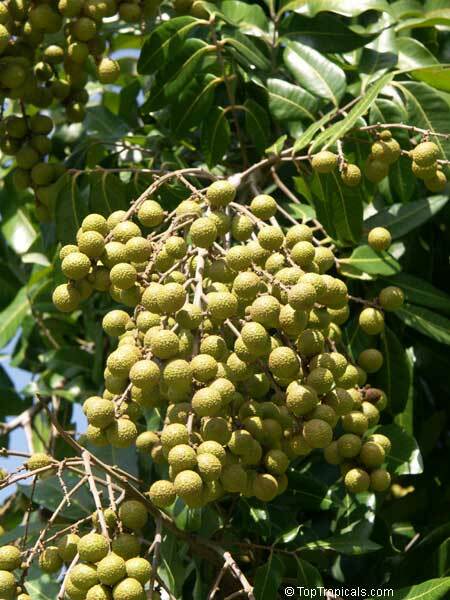 The crisp skin is easy to remove and the white flesh has a texture and sweetness reminiscent of litchi. They generally eat longan fresh at room temperature, but the canned fruit is often served over ice as a dessert. 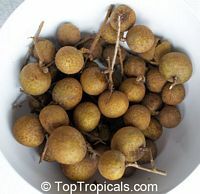 3689 Euphoria longana - Biew Kiew longan, Air-layered ? Small seed, late variety. 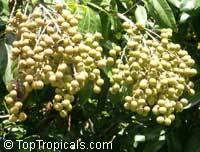 Biew Kiew variety is from Thailand, late fruiting. 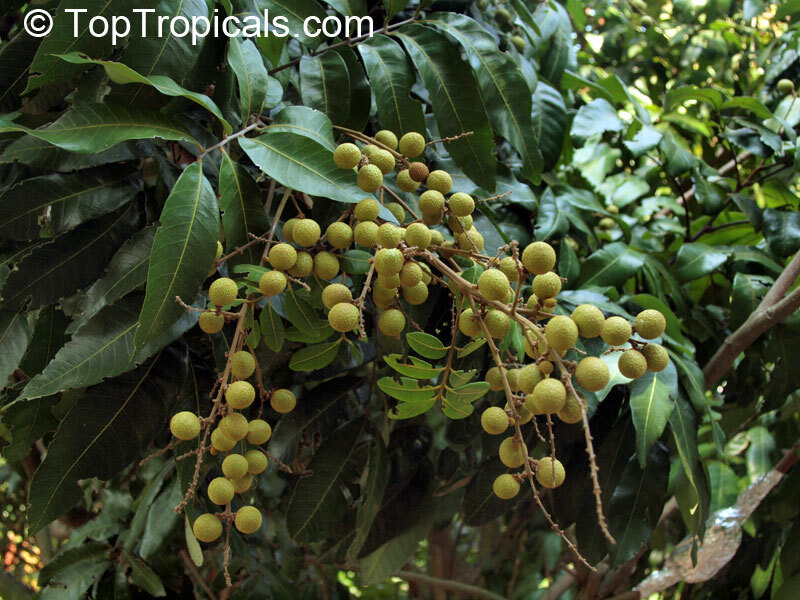 Longan is a medium sized tree from China, it can be pruned to maintain a small tree size. 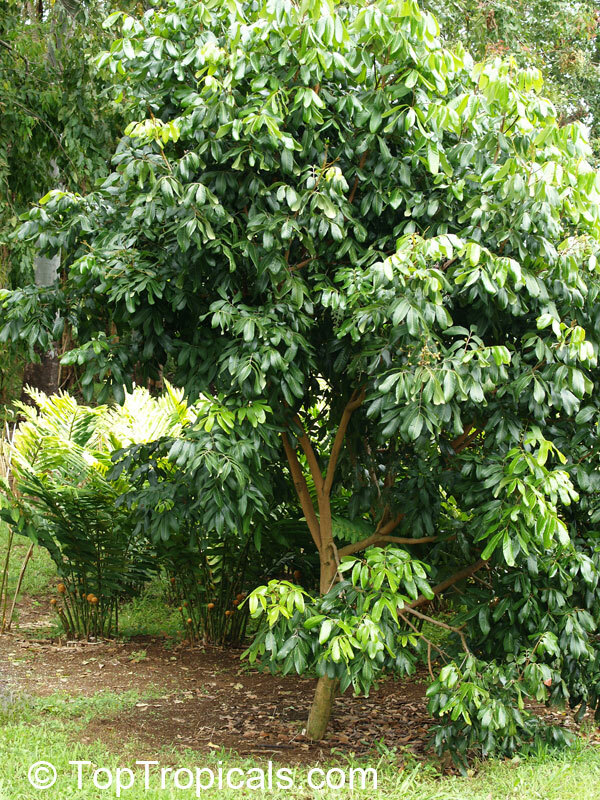 This lychee relative has stiffer leaves, more wind resistance and fruits more prolifically and regularly than its famous cousin. 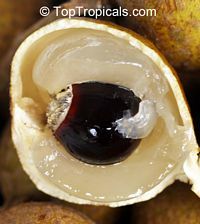 The flesh is sweet and is usually eaten fresh but can be canned or dried. 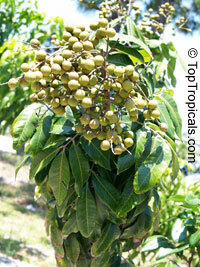 The crisp skin is easy to remove and the white flesh has a texture and sweetness reminiscent of litchi. 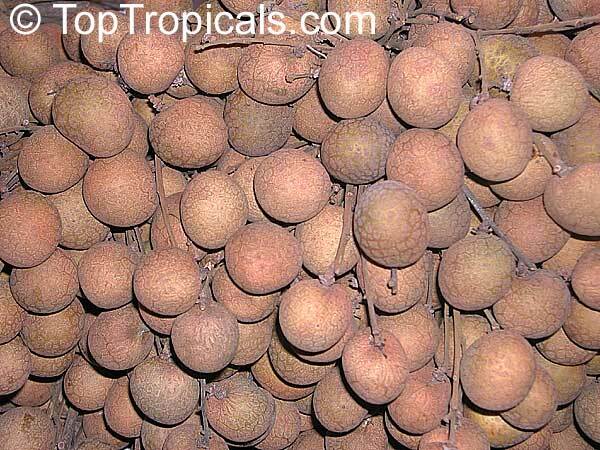 4405 Euphoria longana - Biew Kiew longan, Large size, Air-layered ? 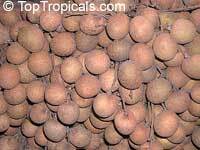 4304 Euphoria longana - Diamond River Longan, Air-layered ? 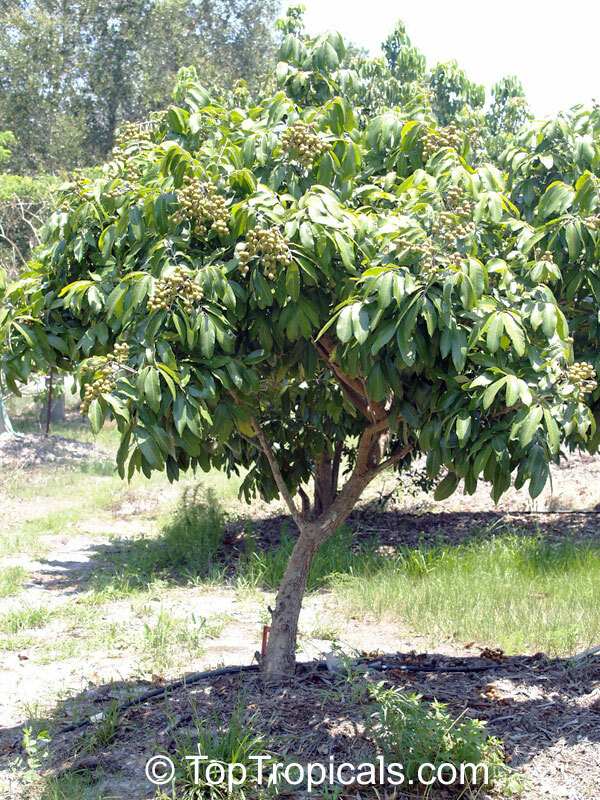 Diamond River variety produces multiple crops. 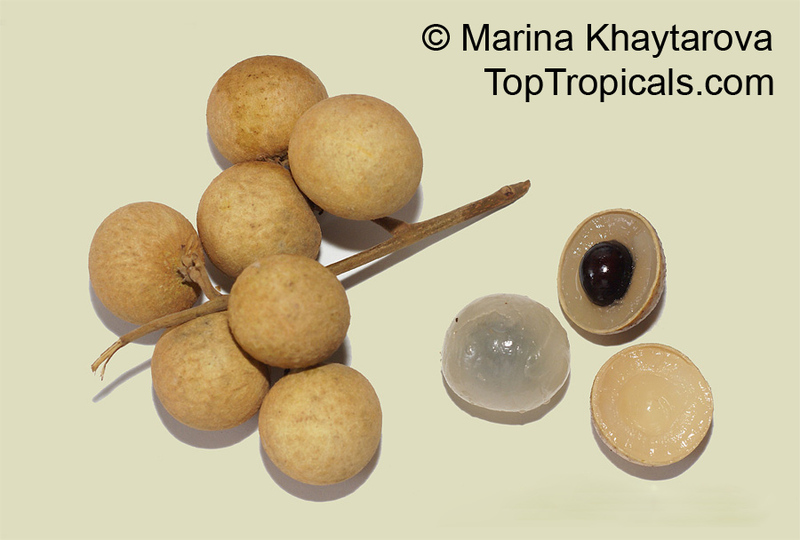 Longan is a medium sized tree from China, it can be pruned to maintain a small tree size. This lychee relative has stiffer leaves, more wind resistance and fruits more prolifically and regularly than its famous cousin. 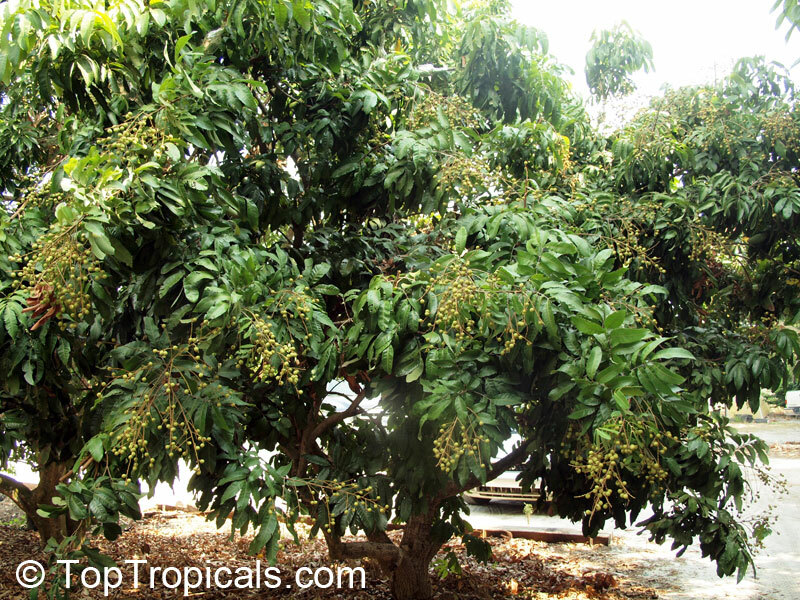 The flesh is sweet and is usually eaten fresh but can be canned or dried. 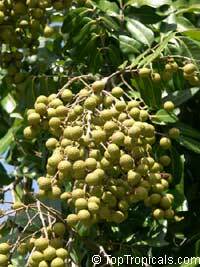 The crisp skin is easy to remove and the white flesh has a texture and sweetness reminiscent of litchi. 4610 Euphoria longana - Fortune Eye Longan, Air-layered ? 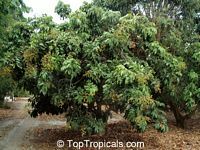 1083 Euphoria longana - Kohala longan, Air-layered ? 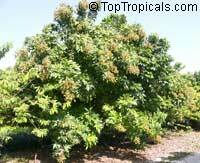 4406 Euphoria longana - Kohala longan, Large size, Air-layered ? 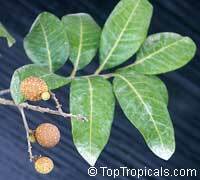 3639 Euphoria longana - Sri Champoo longan, Air-layered ? Longan Sri Champoo - superior variety with pinkish fruit.